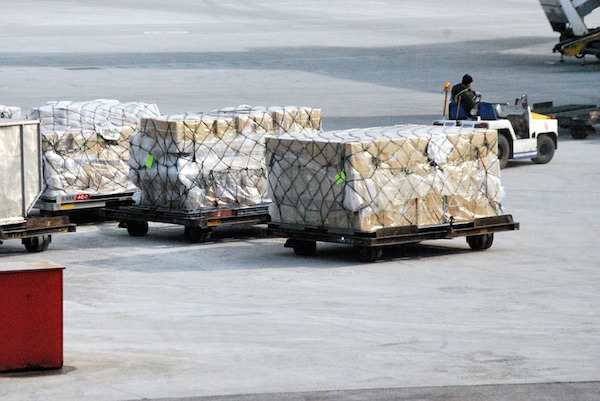 The European Commission has re-adopted a cartel decision against 11 air cargo carriers and imposed a fine totalling €776,465,000 ($836.237 millon) for operating a price–fixing cartel. The Commission’s original decision was annulled by the General Court on procedural grounds. In November 2010, the Commission imposed fines of nearly €800 million ($861.584 million) on 11 air cargo carriers who participated in a price-fixing cartel, from December 1999 to February 2006, in the airfreight services market covering flights from, to and within the European Economic Area. The cartel arrangements consisted of numerous contacts between airlines, at both bilateral and multilateral level to fix the level of fuel and security surcharges. According to the Commission, the companies fined in 2010 were Air Canada, Air France-KLM, British Airways, Cargolux, Cathay Pacific Airways, Japan Airlines, LAN Chile, Martinair, Qantas, SAS and Singapore Airlines. A 12th cartel member, Lufthansa, and its subsidiary, Swiss International Air Lines, received full immunity from fines. All but one of the companies (Qantas) subject to the 2010 decision challenged the decision before the EU’s General Court. In December 2015, the General Court annulled the Commission’s decision against the 11 cartel participants that appealed, concluding that there had been a procedural error. However, it did not rule on the existence of the cartel.